"To be a great person, walk hand in hand and side by side with great people." "Your present circumstances don't determine where you go; they merely determine where you start." "People don't respond to what you say, they respond to what they understand you to say." "When we admit a student to HPU, we commit our full resources to ensure their success." "Success doesn't come to you, you must go to it. The trail is well traveled. If you want to walk it, you can." "Accept each moment as a gift to be received with joy." "The time is now. The person is you." And dozens of additional strategic growth accomplishments. President Qubein has partnered with faculty and staff to forge new opportunities for HPU. Focusing on experiential education and holistic, values-based learning, graduates are prepared to live a life of both success and significance. 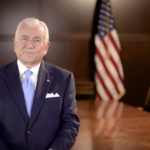 He has served as past president of the Big South Conference and teaches a class to all freshmen titled, “The President’s Seminar on Life Skills.” In the course, Dr. Qubein shares with students the habits, skills, values, and the practical intelligence that one must apply to succeed in an ever-changing world. He came to the United States as a teenager with limited knowledge of English and only $50 in his pocket. His inspiring life story is one filled with adversity and abundance. It is through the lens of his life accomplishments, that one appreciates his current role as an educator, philanthropist, and passionate advocate for the development of our future leaders. 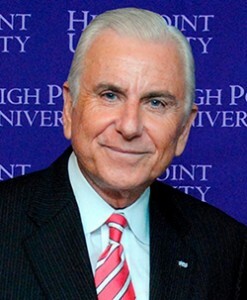 Dr. Nido Qubein has served as president of High Point University since 2005. An accomplished business leader and dedicated philanthropist, he has led the university through an extraordinary transformation including major increases in traditional undergraduate enrollment (from 1,450 to 4,500 students), the number of faculty (from 108 to 300), and the addition of 90 new and acquired buildings on campus, with a total investment of $1.6 billion. Under his leadership, four academic schools have been added – the Nido R. Qubein School of Communication, the Congdon School of Health Sciences, the School of Art and Design, and the Fred Wilson School of Pharmacy. New programs in entrepreneurship, interactive gaming, and commerce were added along with new initiatives in physician assistant, pharmacy, and physical therapy. The university, during his tenure, moved to a doctoral degree-granting institution and added masters and doctoral programs, invested heavily in state-of-the-art technology and resourced academic programs with personnel, facilities, equipment, and budgets. HPU rankings have soared from #17 in 2005 to #1. The university was named the 2016 #1 Regional College in the South for the fourth consecutive year in “America’s Best Colleges” by U.S. News & World Report. HPU is also recognized in “America’s Best Colleges” as the 2016 #1 Most Innovative Regional College in the South for making the most innovative improvements in terms of curriculum, faculty, students, campus life, technology or facilities. With his contacts and fundraising experience, Dr. Qubein led HPU in raising $300 million in gifts and pledges without a formal campaign. Study Abroad programs increased from 5 to 67 and many new academic initiatives were started including Undergraduate Research and Creative Works, Service Learning, and Learning Excellence. The NCAA Division I athletic programs have also grown with the addition of mens and womens Lacrosse, 2 new athletic stadiums and even 21 club sports. President Qubein is a successful, sought-after speaker who has delivered more than 6,000 presentations across the U.S. and beyond to corporations, associations, and non-profit organizations. But as someone who came from humble beginnings, he lives by a principle found in the Gospel of Luke: “To whom much is given, much is required.” He teaches this principle to students through his Freshman and Senior Seminars, and he works tirelessly to ensure that holistic learning and a values-based education remain the cultural focus of this institution. President Qubein has been a dedicated servant leader of the High Point community and High Point University for many years. Amidst his successful career, he dedicated time to serve as a director or chairman of many organizations including YMCA of the USA, which oversees 2,600 YMCA’s across the country, the High Point Chamber of Commerce, the United Way of Greater High Point, the High Point Economic Development Corp., and the High Point Community Foundation. He is the founder of the National Speakers Association Foundation where the highest award for Philanthropy is named for him. Believing that values are better modeled than taught, he has led by example through his civic accomplishments. When he’s not teaching his Life Skills Seminars, he often can be found conversing with students throughout campus. His smile and wave are a common sight. His wife, Mariana Qubein, has also spearheaded the arboretum and gardens on campus and works with student volunteers to care for the gardens. 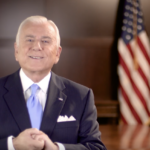 Nido Qubein’s life story is one filled with both adversity and abundance. It serves as a message of inspiration and hope to students who are preparing to enter an ever-changing world. He grew up in the Middle East to a single mother after his father died when he was only 6 years old. In search for the opportunity to thrive, he came to the United States as a teenager with limited knowledge of English and only $50 in his pocket. He supported himself through numerous entrepreneurial endeavors while attending Mount Olive College, then High Point University to receive his bachelor’s degree and the University of North Carolina at Greensboro for graduate studies. All three of his alma maters bestowed upon him honorary doctorates. His business ventures included helping to grow a bank in 1986, and today he serves on the board and has chaired the executive committee of BB&T, a Fortune 500 financial corporation with $185 billion in assets and 35,000 employees. He is also chairman of Great Harvest Bread Company with 218 stores in 42 states and serves on the boards of La-Z-Boy Corporation and Dots, LLC with 400 stores in 30 states. Prior to accepting the role as seventh president of High Point University, Dr. Qubein served as chairman of an international consulting firm. He became a professional speaker known for engaging audiences with topics covering change, leadership and branding, and he has written a dozen books and recorded scores of audio and video learning programs translated into many languages. 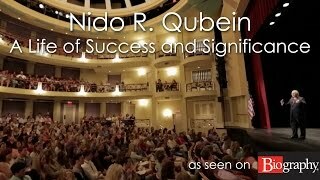 In October 2013, The Biography Channel aired Nido Qubein: A Life of Success and Significance. While the Emmy Award-nominated documentary celebrates Qubein’s accomplishments as a professional speaker and business consultant, much of the film recognizes his extraordinary efforts to lead High Point University through unprecedented growth and accomplishments in the heart of the great recession. The awards and honors he has received throughout his career are too many to list fully here. He is the recipient of the highest awards given for professional speakers including the Cavett (known as the Oscar of professional speaking), the Speakers Hall of Fame, and Sales and Marketing International’s Ambassador of Free Enterprise. Toastmasters International named him the Top Business and Commerce Speaker and awarded him the Golden Gavel Medal. He was named Citizen of the Year and Philanthropist of the Year in his home city of High Point. He has also been honored with the following distinguished awards: the Ellis Island Medal of Honor, which has been bestowed to notable persons such as former President Bill Clinton and Tony Blair; the Horatio Alger Award for Distinguished Americans, which honors the achievements of outstanding Americans who have succeeded in spite of adversity and emphasize the importance of higher education like Oprah Winfrey and Starbucks founder Howard Schultz; and the DAR Americanism Medal, the highest honor that the National Society of Daughters of the American Revolution may bestow on a foreign-born citizen; and the Siegfried Award for Entrepreneurial Leadership, which is bestowed to an individual who has made exceptional contributions to advancing the understanding and practice of entrepreneurial leadership.